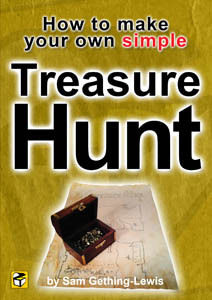 You can literally strike gold with metal detecting treasure hunts. Cards on the table – at Treasure Hunt Design we are organisers of scavenger style treasure hunts, and have never even laid a hand on a metal detector in anger. However, we do get a lot of enquiries about the subject, so this may be of use to you. Local beaches, woods, forests are a good starting point. Make sure the property is public. Get permission to enter or use private land and establish a finders agreement with the owner. Use Google Earth to spot any regular or unusual shapes in the grass from the satellite view which could identify ancient settlements. Find out if there were any local battles or settlements listed. If you would like to enter and use private property, get permission from the owners. Some people search for years before they discover anything of interest!?! When using private property, make an arrangement with the owner before you start as to what to do with anything you find i.e. 50:50 when sold, finding fee commission etc. When on public property check with your council what the rules are. Work your area in lines. If you can, mark your progress with stones or twigs to avoid going over old ground. Take a snack, water and a torch. Sometimes you’ll get a bit carried away and forget the time. You’ll be needing a metal detector, shovel, map, container, notebook and a compass. Keep a diary of where you have been to avoid repeating your tracks and so you can go back if you find a good seam. Errors and omissions excepted. This article is purely opinion and at Treasure Hunt Design we are not responsible for your actions.